For the past two weeks I have been on a vegetarian diet (no meat and fish) to help myself become a healthier and ‘feel better’ me – I’ve called this my 28 Days Crave Veggies Challenge. Before the challenge, I had been feeling sluggish and thought this challenge would be just the boost my body needed, I was also concerned that too many of my meals, whether it was eating out or at home, revolved around meat and I wanted to find out was meat really necessary? This challenge (so far) has been a fantastic food experience of discovering new satisfying (new) meals packed with vegetables, whole grains and more. 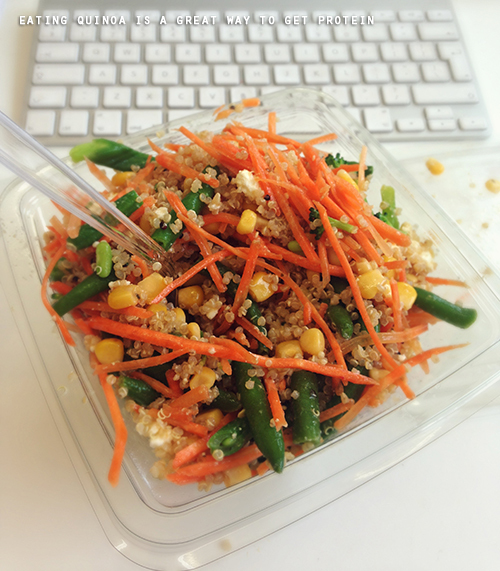 I’ve kicked the ‘habit’ of eating meat and giving the veggies a chance to take centre stage for a whole month! 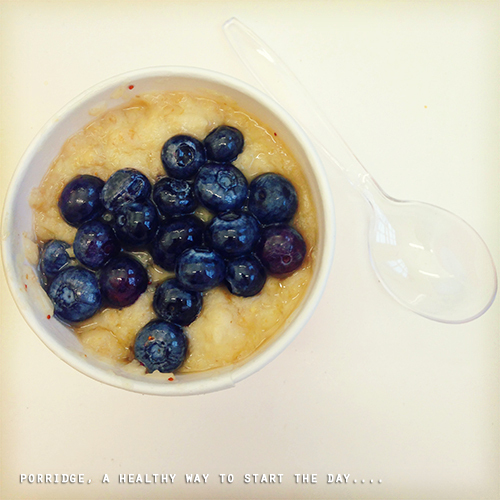 Porridge served with blueberries and natural honey.